This lavishly designed, colour illustrated biography, written by one of O’Regan’s long term colleagues, is the first to examine in detail the extraordinary achievements of this remarkable patriot. Mary McAleese, President of Ireland, succinctly captured the character of Brendan O’Regan as follows: ‘a true visionary who leaves a legacy that permeates throughout all levels of economic, social and cultural life in Ireland’. This authoritative biography of O’Regan sets out that legacy in a well researched and compelling narrative. It is essential reading for anyone seeking a well-founded and original perspective on the evolution of Irish industry, aviation and tourism over the last seventy years. Author, Brian O’Connell, and collaborator, Cian O’Carroll, knew their subject well through Shannon Development (SFADCO), the regional development agency O’Regan first headed. With good foresight, they persuaded him, at the age of eighty-seven, to record orally his personal memories of the events and the many prominent personalities in Ireland and abroad he met and dealt with. 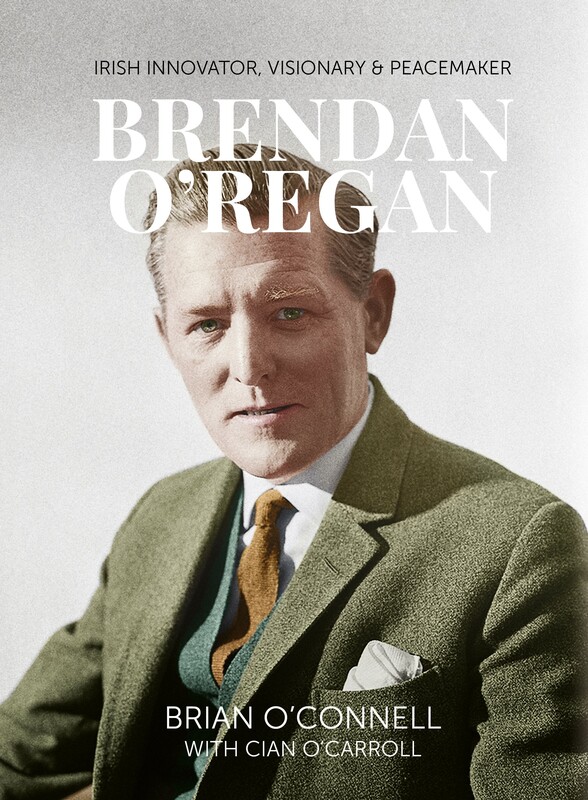 O’Connell’s biography combines this oral account with interviews of nearly 100 of Brendan’s contemporaries and extensive original material from Irish state archives. It makes an invaluable contribution to the history of those transitional years between the era of creating statehood and modern Ireland. Brian O’Connell is a former director of Shannon Development (SFADCO) and a former chairman of Shannon Heritage, which operates a network of cultural tourism venues such as Bunratty Castle and Folk Park. The latter company is now a subsidiary of the Shannon Group which owns Shannon Airport as well as the portfolio of commercial properties previously owned by Shannon Development. As Chairman of Shannon Heritage, O’Connell initiated the publication of an oral archive of the memories of Brendan O’Regan, in 2004. His biography John Hunt, The Man, The Medievalist, The Connoisseur was published in 2013 and he co-authored the biography of Tipperary man, General Sir William Carrol, published in Spanish in 2009.